I thought I'd end the year with some more awards, and if you know what films I have enjoyed this year, these should come as no surprise. He was a complete badass in Drive, delivering a quietly intense performance and sporting the year's best item of clothing (the scorpion jacket). The opening scene of Drive, where he barely says a word, is also the best scene of 2011. He even made eating a piece of pizza in Crazy Stupid Love look cool, and then turned in arguably his best work in The Ides of March, combining the suave charms of CSL and the calculated 'defence-into-offence' moves of Drive to overcome the heat of corruption and scandal on all sides. While he was robbed of an Oscar nomination for Blue Valentine last year, I fear he may fall short again this year - especially with the depth of this Best Actor lineup - but no one can deny this was the year of Mr. Gosling. My celebrity crush of 2010 (at full force following Never Let Me Go earlier in the year), Carey Mulligan, has been knocked off her perch. The stunning Jessica Chastain has appeared in something like six films this year. I have seen four of them - and she was sensational every time. 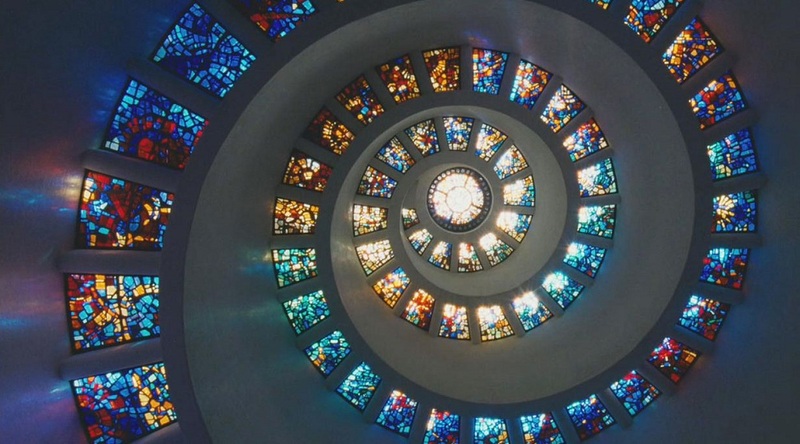 When people declare what film she should be nominated for Best Supporting Actress for, the answer varies - The Help, The Tree of Life or Take Shelter. My pick would be the latter, providing wonderful support to Michael Shannon's tour-de-force, but it's very likely that it will be for The Help, where she is nearly unrecognisable. She is certainly one of the favourites. The Debt was a fairly mediocre outing, but she gave the best performance in that film. Set for bigger and better things, it's impossible to ignore her range and talent. This award was never in doubt as soon as I watched Tree of Life and Take Shelter days apart...Jessica who? Who are your male and female stars of 2011? Hello everyone. I hope you all had a great Christmas. It's the exciting time of the year where everyone is thinking back on the year that has passed and all of the films they have seen, and coming up with lists of their favourite films. I came up with my 2011 Buckle Awards and an unofficial 30 Best Films of 2011 list and I'll be linking to lists made by my colleagues early in the new year. As I didn't write a links post on Monday - it was Boxing Day and had to work the busiest cinema day of the year (or so we thought - turns out the 27th and 28th can be busy too) - I thought I'd finish 2011 with my usual column, the December round-up, and one final links post. Unfortunately, over the next week I'm not going to have much time to write. I am working at my cinema a lot - and with the exception of Sherlock Holmes: A Game of Shadows (released January 5) I don't have any reviews to work on. 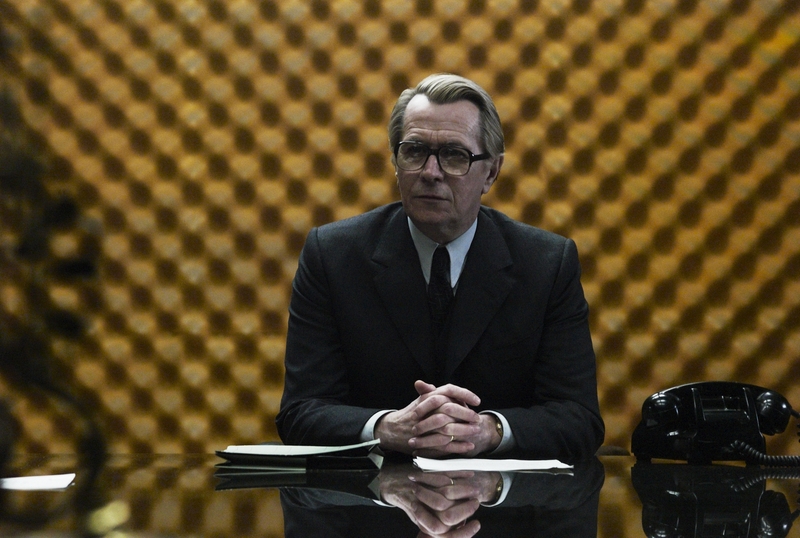 I posted my review of The Iron Lady last night, which is a bit of a sad way to end the year. I remember at this time last year I was writing reviews for Blue Valentine and Love and Other Drugs. I saw them back-to-back on the 29th of December. Amazing how fast a year disappears. 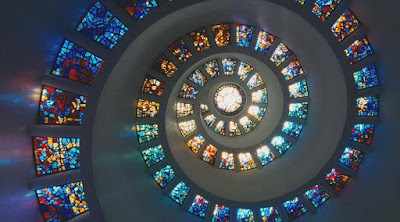 Here's a link to a list of my 25 Best Films of 2010 from early March - comprised of films (with the exception of The Social Network) I have thought very little about since then. January and February are certainly exciting months with Hugo, The Girl With the Dragon Tattoo, Tinker Tailor Soldier Spy, Young Adult, The Artist, Shame and Carnage amongst the high-profile films I am yet to see scheduled for a release. Before I get into the links I'd like to run through my stats for the year. They are stats that may not be repeated ever again. 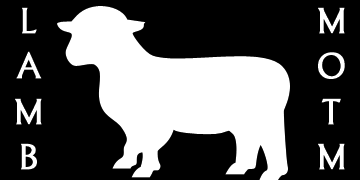 This is my 534th post of 2011, which means that I have averaged about 44 posts a month. That is a pretty extreme pace. Not all of these were reviews, usually around 20 or so, but also comprised of a mix of weekly regulars (Monday Links and Releases), film news and trailers, the occasional essay or list. As many of you might not know, but perhaps you assume, this pace took a pretty big toll on me over the year. I have worked like crazy to keep this blog full of interesting material, and the reward has been great. Of course there are some days when you wonder if it is all worth it, but when I think about all of the talented writers and journalists (and many have become great friends) I have met this year and shared discussions with, it is definitely all worth it. Still, I felt like I might need a little bit of help, so I asked my friend Dominique, an ambitious and talented writer, if she'd like to work on some reviews. Her review of Roman Holiday was wonderful and I look forward to her future contributions. I will have to decide if I am going to keep my weekly segments (I'd like to) or perhaps introduce some new ones. Also, with increased screening opportunities for new release films, I'll have to decide whether or not to watch and review as many older films as I did this year. I have been selecting a director each month and worked through their filmography. To name just a few I covered Tarkovsky, Cronenberg, Altman and Godard. I enjoyed it immensely but I don't know if I will be able to keep this up. As I am planning a trip overseas in August/September, I will have to have more paid work between now and then, meaning I will have less time to write. As a result, I may be sticking predominantly to new releases, and constructing shorter reviews. Does anyone feel like my reviews are too long? I doubt I'll be watching a film today or tomorrow so that leaves my final film tally for the year at 371. I surpassed 365 last week (which became my goal when I realized it was realistic). I doubt I'll ever watch this many films in a year again. These weren't just new releases, but also older films that were new to me this year, and re-watches of films I had seen previously. Sometimes you feel like relaxing to an old faithful, rather than be challenged by a new and unique experience. I remember in December last year (actually it was December 18) when I had just 41 page views for the entire day. This month I have been surpassing 1,000 page views nearly every day, and am heading towards 30,000 for the month - easily the biggest one yet. It's been incredible to see Film Emporium continue to grow. I also had about 11 followers back then and would love to break through the 100 barrier (I'm sitting on 98) before the end of the year. 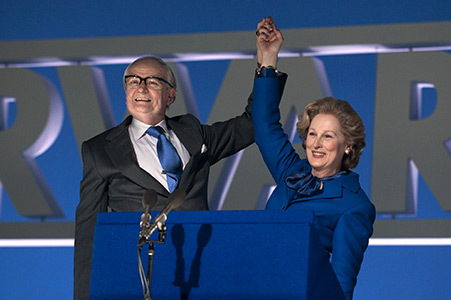 With a remarkable front-and-centre performance from Meryl Streep portraying the ‘Iron Lady’ of British politics, Margaret Thatcher, Phyllida Lloyd’s follow up to Mama Mia has been widely anticipated because of the acclaim for Streep's performance. She has already been nominated for a SAG and a Golden Globe and likely to follow that up with yet another Oscar nomination. But with the exception of Streep’s fine work - both portraying the woman during her tenure as British Prime Minister between 1979-91 and with the aid of impressive old-age make-up as an elderly woman suffering from Alzheimer's Disease - this conceited examination of Thatcher's career and marriage is a mighty mess. It’s a film that tries to be even-handed and fair, and ends up being one without a clear agenda. It is far too lamely comic to be taken seriously, yet the woman's career was wildly divisive and controversial, and misguided in it's belief that we will sympathise with her purely because she is old and growing progressively senile. Overall, it's a dull and frustratingly mediocre outing, despite Streep's fascinating portrayal and the superb make-up job. As I was leaving the cinema I overheard a displeased viewer proclaiming that they “hated Margaret Thatcher then and still hate her just as much now.” The career of Thatcher, the first female Prime Minister of Great Britain, greatly polarised public opinion. Thatcher’s life is unveiled here through her jumbled recollections. Her memory is triggered by several seemingly insignificant objects in her home (a figurine for example) which prompts her to remember significant moments in her life – as a headstrong and stubborn young conservative with the desire to be taken seriously in politics, knocking the gender boundaries of politics flat, but making dubious decisions, forever affecting the British economy and social harmony. Great choices Austin - Winding Refn, Shannon, Swinton, Brooks, Chastain and Lubezki. Attack the Block takes out score, Senna takes out Documentary and the Austin Film Award goes to Take Shelter. Can't argue with this at all. I am yet to see Hugo but happy to see it win. First of all, I'd like to explain that this is an unofficial and uncompleted list, but it's the end of the year and I feel like I need to conform with a personal list of Favourite Films. You might notice that my Top 10 is a little different to the one I contributed to the Sydney Film Critics poll (here). The rules were a little different to my own. When I decide what films should be allocated to each year, I mark the Academy Awards as a divide. 95% of films released in Australia in January and February are U.S releases from the year before, so it makes sense to include them in the previous year. Usually, some of the best films of the 'calendar year' are released in the first few weeks of the year. So, when March comes around, the 2012 releases will begin - as well as some super-delayed 2011 releases. These ones I will count as 2012 (and this where it gets a bit complicated, but I think it makes sense). Anyway, most of the films I have selected here have been released in an Australian cinema (whether it's been a theatrical release or at a Film Festival - some are from SFF) between the start of March and NOW, with a couple of choices coming from January 2012 releases - films I have been lucky enough to see already. So, at the beginning of March I will give an updated list - taking into account some of the potential challengers (The Artist, The Girl With the Dragon Tattoo, Hugo, Shame, Tinker Tailor Soldier Spy) released between now and then. Though my 'Worst Of' list ran pretty deep - I personally think that 2011 has been a great year in film. Almost every week I have found something (and in a lot of cases multiple films) to recommend, which hasn't been the case in previous years, from my experience. 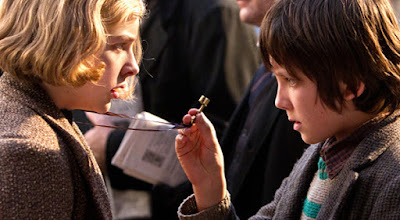 So, I'll start with the year's Biggest Surprises before delving into my 30 Best Films of 2011. Biggest Surprises: There were plenty of pleasant surprises at the cinema this year. More than disappointments anyway. At the tail end of the blockbuster season, Captain America: The First Avenger and Rise of the Planet of the Apes were released and each proved to far better than expected. Crazy Stupid Love, for a romantic comedy (a genre I usually don't like), was a lot of fun, and features an unexpected and perfectly orchestrated twist about two-thirds of the way through. I was skeptical about Red Dog, expecting it to be overly-sentimental and corny, but I really enjoyed it and was genuinely moved by its story. Its box office successes is understandable, and it has been great for the Australian film industry. I had very little interest in Rango following the lone teaser I saw, but it is still the best animated film I have seen this year. Warrior. Who expected it to be as good as it was? Finally, I had been recommended Senna by a fellow blogger who attended Hot Docs earlier in the year. I immediately purchased tickets to Senna and Project Nim at the Sydney Film Festival based on his response. I had no idea that Senna would be THIS good. Wow. So, the idea of these awards are to choose a list of personal nominees from films I have seen in 2011 to some selected Academy Award categories and then declare a winner. This is with the exception of a Best Picture, which will be saved for tomorrow when I announce my Top 30 Films of 2011. There are still several 'Oscar Contenders' I am yet to see, due to the late release in Australia, so these are not official awards, just a way to honour some achievements I found notable this year. The winners of each category are in bold. What are your thoughts and selections? Coming tomorrow - my unofficial Top 30 Films of 2011. *Note* - The Online Film Critics Society have announced their 15th Annual Online Film Critics Society Awards nominations. I was quite surprised how similar they were to mine - with the inclusion of some nominees from films I am yet to see, of course. You can check them out here. In case you have been living under a rock and weren't aware of these films, here are the newly released official trailers for the hotly anticipated 2012 releases, Ridley Scott's prequel to Alien, Prometheus, Christopher Nolan's The Dark Knight Rises and Peter Jackson's The Hobbit: An Unexpected Journey, for your enjoyment. Networks have been busy recently with trailer uploads and chatter. I have tried to avoid getting too caught up in it but I folded and watched the latter two trailers (but only because they kept showing up on my Facebook feed). The films are months and months away - and I'd like to go in with the potential for some surprise. But if you are interested, you can check them out below. Hope everybody had a fantastic Christmas. Here's to a safe, happy, productive and prosperous 2012. I have managed to avoid some of the year's big duds - Red Riding Hood, Something Borrowed, Just Go With It, Abduction, Jack and Jill etc. - actually making the effort see some of the potential duds that might have surprised me (for example Pirates of the Caribbean: On Stranger Tides). I don't know why I saw New Year's Eve. I had free passes. Before I delve into my Ten Worst Films of 2011, here are my selections for Most Overrated Film and Biggest Disappointment of 2011. Overrated: The obvious choice here would be Bridesmaids, a film most people know I did not enjoy but one that holds a 90% score on Rotten Tomatoes and has been amongst the nominees and winners at recent critics awards. I don't get it. Other ones that spring to mind are Eye of the Storm (a multiple festival winner, but the year's longest two hours), The Beaver (the premise is absurd) and X-Men: First Class (if Michael Fassbender wasn't so good in this film, it would have stunk). But, the most overrated film of the year is Harry Potter and the Deathly Hallows Part 2. Being a Harry Potter fan, I found it to be a fitting way to end the franchise. For the most part, I actually liked the film. So, why would I select this here? It has a 96% score on Rotten Tomatoes (with an 8.4 average) and has been popping up consistently on Top 10 lists. It's a good film, but far from a great one (it's not the best in the series, that's for sure) despite the critical consensus claiming otherwise. Biggest Disappointment: At the start of the year I remember being really intrigued by both Submarine and Another Earth. While Submarine was a clever, quirky indie comedy, it didn't match my expectations, unfortunately. Another Earth showcases the talents of writer/star Brit Marling, and writer/director Mike Cahill, but I didn't find it to be a particularly strong film. It was one of a few disappointments at the Melbourne International Film Festival. Another one was Melancholia. It's Lars Von Trier. I got through Antichrist easier than this one. The second half was a snoozefest. I have seen the film since and I liked it a lot more (the photography and Dunst are the highlights) - but I wished I felt more coming out of it. Another one is Sleeping Beauty. After learning of it's selection into Cannes and seeing it at the Sydney Film Festival, I convinced myself that I liked it. Weeks went by, it received a theatrical run, I discussed it with a few people - and decided that it really wasn't very good at all. Boxing Day in Australia is the biggest day of the year for cinema-goers. It's the day after Christmas - there are the Boxing Day sales, and for some reason people are convinced it is the perfect day to stand in a long queue and sit in a packed cinema. Having worked at a cinema for a number of years, Boxing Day is hell. Remember Avatar. This year I will also be working, but at a much smaller and much more relaxed location. 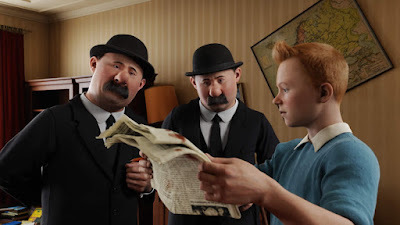 Anyway, suitably for such a big day, there are eight releases scheduled across Australia for Boxing Day: The Adventures of Tintin, War Horse, We Bought A Zoo, Happy Feet 2, Tower Heist, The Skin I Live In, Albert Nobbs and The Iron Lady. I have seen and reviewed five of these releases - with The Iron Lady, Albert Nobbs and Happy Feet 2 eluding me so far. Intrigued by the work of Meryl Streep and Glenn Close, I'll check out the two former sometime before the end of the year. Perhaps you are interested in War Horse and Tower Heist? My reviews are here, and here. 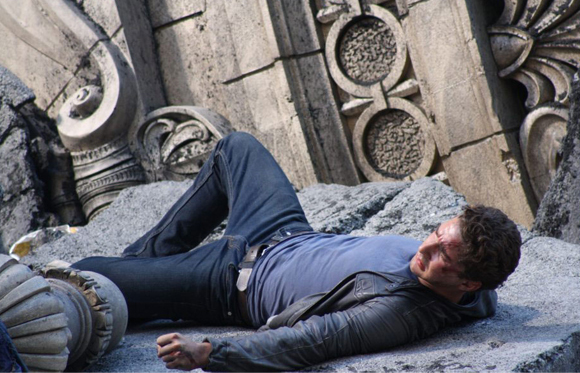 Tom Cruise is back for another go round as Ethan Hunt in Mission: Impossible - Ghost Protocol, directed by Brad Bird. Following its worldwide release last week, the reception has been almost unanimously positive, with many fans claiming it to be the best of the franchise so far. It's certainly an entertaining film. With Hunt and IMF believed responsible for an attack on the Moscow Kremlin, which was actually a cover for Swedish-born Russian nuclear strategist Kurt Hendricks (Michael Nyqvist) to escape with a nuclear launch control device, IMF is shut down. In an attempt to stop a pending Nuclear War and clear IMF's name, Hunt is joined by Benji Dunn (Simon Pegg), Jane Carter (Paula Patton) and William Brandt (Jeremy Renner), as they pursue Hendrick's to Dubai and Mumbai to intervene in his purchase of the launch codes (previously swiped from an IMF Agent by Lea Seydoux's French assassin), and his access to a Soviet military satellite. The back-to-back-to-back action set pieces, which are what the Mission: Impossible films are all about - and what Bird manages to link together quite effectively - are truly spectacular and well worth seeing on the biggest screen possible. I watched the film in VMAX (which was great) but some of the scenes were shot using IMAX cameras and I can only imagine how fantastic that bigger experience would be. 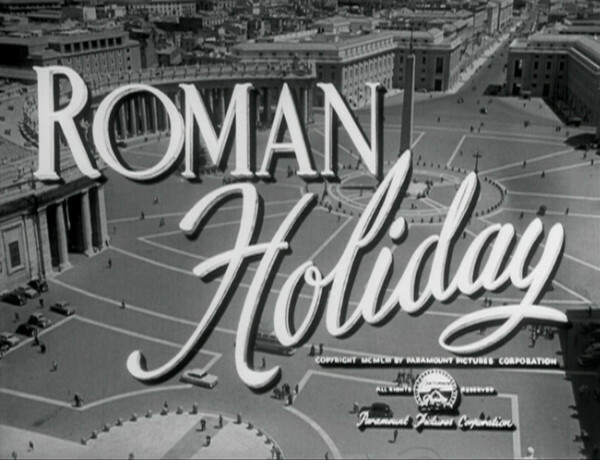 This wonderful review of Roman Holiday is a guest post from a friend and work colleague of mine, Dominique Nesbit. Dominique has a passion for classic and foreign film, and it is with great pleasure that I welcome her to the site. I hope Dominique will continue pursuing writing, and I look forward to sharing more of her work in the future. As a child, I wanted to be Audrey Hepburn. The seven-year old me thought her beautiful, graceful, elegant, and incredibly stylish. Apart from my own mother, who exudes style and grace in her own right, I had never encountered such beauty. The word “beauty,” as I have used it here, relates to a kind of feeling or perception which struck me upon viewing Hepburn for the first time. I will admit that at seven, I never would have thought to use the word “beauty” to express anything other than an appreciation of one’s physicality, but seeing Hepburn play in Roman Holiday showed me that there existed a far more potent kind of beauty, that of the spirit; of the person who lies within. 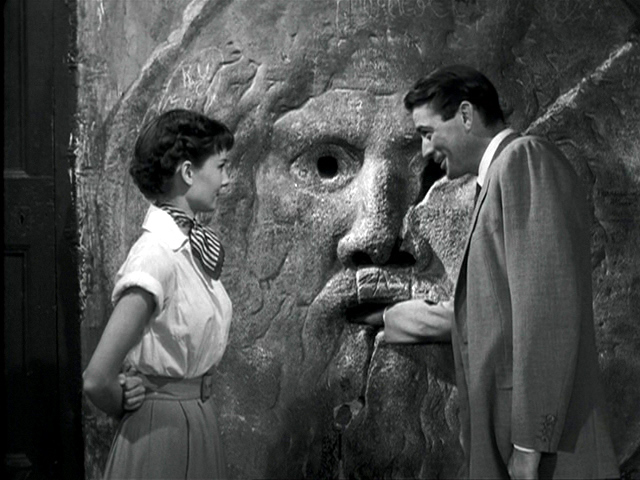 In Roman Holiday, Hepburn’s rare kind of beauty is showcased in several unforgettable sequences but for me, one scene in particular stands out as a remarkable testament to her character. 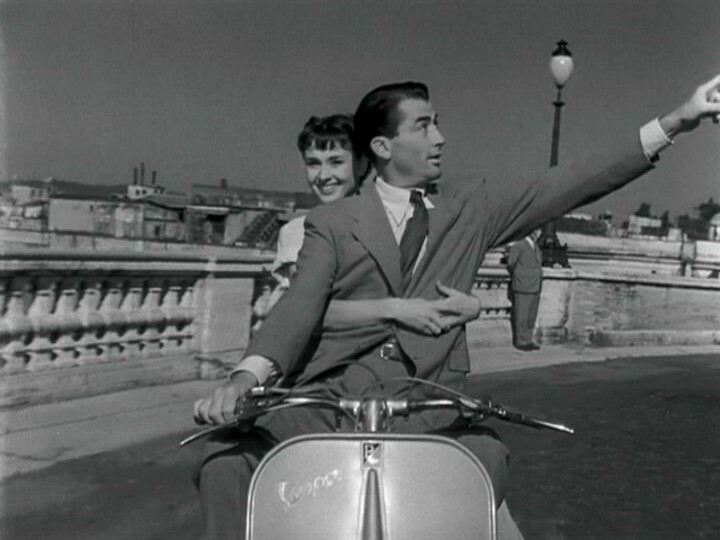 Gregory Peck’s Joe Bradley sets about showing Hepburn’s Anya/Anne the glorious sights of Rome. On the back of a Vespa, a typically Roman mode of transport, they take in the sights of a formidable city unlike any other in its construction. One stop on their tour of the Eternal City is to the church of Santa Maria, home to the Bocca della Verità (Mouth of Truth). Legend has it that to place a deceitful hand inside the mouth of truth is to condemn it to amputation by the cruellest method: the Bocca is said to bite off the hand of a liar. Unbeknownst to Hepburn, Gregory Peck had – in collaboration with William Wyler – devised a scheme that was certain to get a reaction out of the young star. Peck leads an obedient Audrey Hepburn into the sacred site. He asks her to offer her hand to the Bocca, which she nervously agrees to. Having placed her hand inside, she asks that he do the same. Peck sticks his hand deep inside the Mouth with an air of nonchalance that Hepburn clearly finds unnerving. What follows is made all the more significant in that it was one of those few occasions where director William Wyler went against his stereotype, as Hollywood’s ‘perfectionist,’ and agreed to let the scene play out in one single take. This, to me anyway, says something of Hepburn’s intoxicating on-screen presence. Her acting-style, particularly in this film, was so natural; so spontaneous that Wyler allowed the camera to keep rolling so that she could imbue the lens with all that natural, unaffected beauty. Peck’s mood suddenly changes. He becomes distraught, starts yelling and tugging at his hand which causes Hepburn to believe that it is being consumed by this vicious monster. She immediately clings to his back in an effort to pull him out safely. When he emerges without his right hand visible, Hepburn shrieks with horror and immediately covers her face in despair. As she stands contemplating how such a simple scene could go so horribly wrong, Peck pulls out his hand from its hiding place and offers it to Hepburn, whose natural response is to cling to him tightly – an action which expresses both her relief and embarrassment at being so easily led. The bottom four categories sum up why I like these selections. If I had to pick my Top 2/3 for those categories, they would match up exactly with the selections here. Though I would put Lubezki at the top for Cinematography. 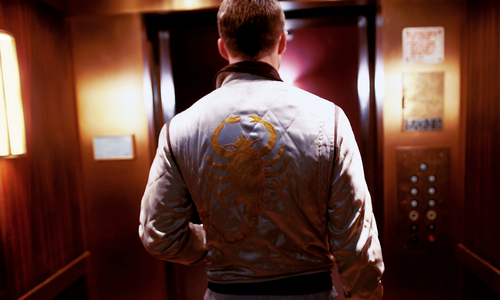 Great to see Drive being recognised. Max Covill @ Impassioned Cinema was kind enough to ask me to contribute an article to his fantastic site while he is on vacation. I decided to briefly discuss the year in Australian film and list my Top 5 Australian Films of 2011. Be sure to stop by and leave a comment. Thank you kindly for the opportunity, Max. 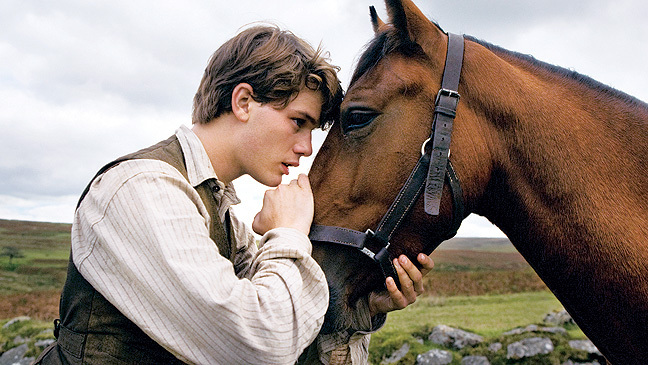 War Horse is scheduled to hit Australian cinemas on Boxing Day. It is distributed through Disney. Steven Spielberg’s second Boxing Day release is the highly anticipated adaptation of Michael Morpurgo’s children’s novel, War Horse. 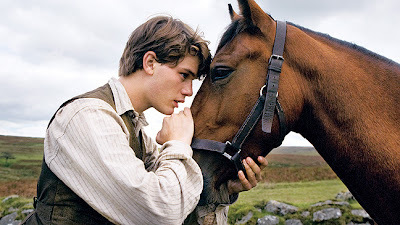 Set before and during World War I, the story follows the extraordinary odyssey of Joey, a one-of-a-kind horse who finds himself alone in No Man’s Land having served both the British and the German armies and impacted the lives of a number of individuals after being separated from his young owner, Albert Narracott (Jeremy Irvine). Having been irresponsibly purchased by Albert’s father (Peter Mullan) to plough their crop field, he becomes a local sensation, but is sold off to aid the British Army, when the Narracott's are unable to afford to keep their land. From there his paths cross with a British soldier (Tom Hiddleston), two young German brothers and a French girl and her grandfather, before finding himself used as a slave horse in the German encampment. Albert joins the British Army in the hopes of seeing his best friend one more time, and the pair are unexpectedly re-united following the assault on No Man's Land. War Horse was first published in the United Kingdom in 1982. In 2007, Morpurgo’s novel was transformed into an award-winning stage adaptation, and one that has been met with immense praise and success around the world. 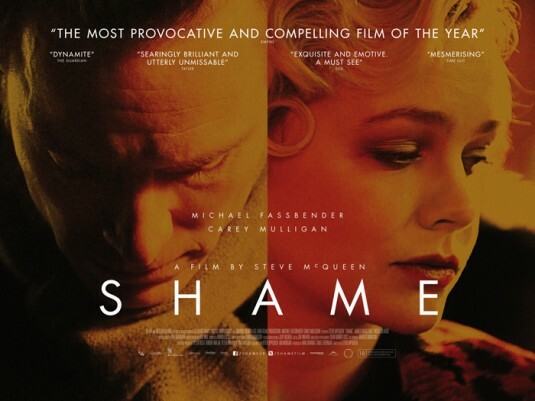 This is why it was very unfortunate to experience such an ineffective film version, and despite already gathering accolades, including a Golden Globe nomination for Best Picture: Drama, this is a film with plenty of glaring faults. Here is a link to an amusing short film written and directed by two good friends of mine, Luke Asprey and Matthew Dibbayawan. They co-run a production company called Daddy Issues Productions. They are close to completing several projects from 2011, and decided to ask several past collaborators (including myself) to be a part of a fun Christmas short. My involvement is minimal - you can briefly see me jovially singing, and then looking dejected - but it was a fun day. I hope you enjoy it...and Merry Christmas! Trailers for a pair of upcoming 2012 releases, The Dictator starring Sacha Baron Cohen, and The Devil Inside. The latter one is quite creepy. Since I last checked in there have been some interesting developments in the Awards race. The Los Angeles Film Critics Association, The Boston/New York Online and San Francisco Film Critics announced their winners, while the Screen Actors Guild Award and the Golden Globe Award nominations were announced, with the usual accompanying controversy. Just yesterday, the Toronto Film Critics also announced their winners. As a result of this madness and a big week of partying (an awesome staff X-mas party) I have been a bit behind on my reviews, trying to post something on each of the upcoming Boxing Day releases. The Women on the 6th Floor came out last week, but The Skin I Live In and We Bought A Zoo are scheduled for Boxing Day. Leading up to Christmas (when I'm not completing last minute Christmas shopping) I'll be posting my review of War Horse, watching and reviewing Ghost Protocol and checking out the new Sherlock Holmes film. Oh, and for any music buffs, check out my Top 10 Albums of 2011. So, enough about me, here is the final links listing before Christmas 2011. There will be another one before the end of the year - accompanied by some obscure End-of-Year Awards and plenty of 'Thank yous'. We Bought A Zoo opens in Australian cinemas Boxing day, distributed through 20th Century Fox. First of all I have to openly admit, We Bought a Zoo was a very pleasant surprise. With the holiday season fast approaching, and with multiplexes sure to be dominated by a pair of Spielberg films from Boxing Day, I fear that Cameron Crowe’s appealing new film will be forgotten about. While The Adventures of Tintin is well worth your time, this is a very acceptable family alternative – a sugarcoated feel-good film that uniquely handles familiar Spielberg themes (father/son estrangement and re-uniting families) but manages to out-Spielberg him, with Crowe ensuring the film is appealing to a wide audience, consistently amusing and genuinely moving and inspiring. To put it simply, everything that War Horse isn’t. 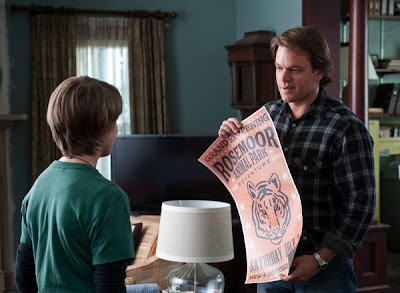 We Bought A Zoo, written by Aline Brosh McKenna and Cameron Crowe, is actually loosely based on a true story – a memoir by British journalist, Benjamin Mee, who recounted how he and his family used their life savings to buy Dartmoor Zoological Park, a dilapidated zoo with a large number of exotic animals facing destruction. The film’s location has been shifted from Devonshire to Southern California, but the gist of the story remains the same I believe. I have been behind on a lot of music this year, jumping onto Pitchfork on occasions seeking out the Best New Music. Even though these albums are all excellent, I have found that 2011 has been a pretty weak year for music. I have turned to soundtracks for films like Hanna, Drive or Attack the Block on occasions. 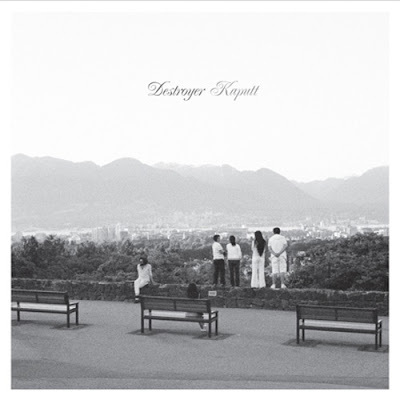 My favourite album of the year - Kaputt by Destroyer - came out pretty early in the year, and it was only very recently that Celestial Lineage, Days and Hurry Up, We're Dreaming came to my attention. Helplessness Blues was on heavy rotation for a while (though I do prefer Fleet Foxes' first album) but oddly, the album I listened to the most this year was Strange Mercy by St. Vincent. So, with a couple of honourable mentions, here my Top 10 Albums from 2011. With the exception of Kaputt (which is #1) these are in no particular order. Now here are some decisions worth praising. The December LAMB Movie of the Month is Dead Man, a 1995 film directed by Jim Jarmusch (Ghost Dog: Way of the Samurai and Broken Flowers). Johnny Depp gives a remarkable performance as William Blake in this surreal, bizarre, but masterful 19th Century western. We are first introduced to Blake on a train to a small town called Machine where he believes there is a job waiting for him as an accountant. He soon discovers that there is in fact no job and he is threatened off the property at gunpoint. Through a series of bad luck, he finds himself fatally wounded and on the run. Found by a mysterious Native American outcast named Nobody (Gary Farmer), and mistaken for the ghost of 19th Century English poet of the same name, Blake is escorted through America's hostile West to an unknown destination in their attempts to escape the pursuit of the three hired killers sent after him. As his physical condition worsens and the pair nears the coast, his spiritual journey begins. This is one of the strangest, bleakest westerns you will ever see, but also one of the most captivating and beautiful. The film moves slowly, but the town of Machine is fascinating and the scenes near the end where they encounter a Native American tribe are elegantly handled. There are trippy dream-like sequences, and the film maintains a great sense of humour. 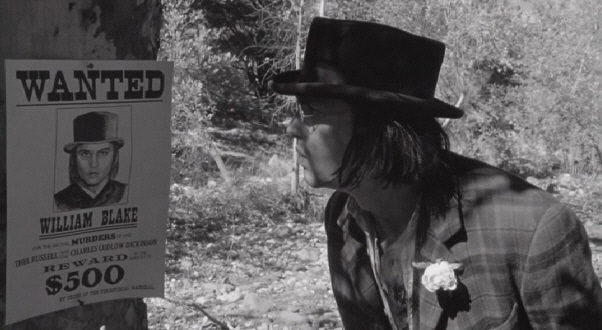 There are some great cameos (Robert Mitchum, Lance Henriksen, Iggy Pop, Billy Bob Thornton, Gabriel Byrne and Alfred Molina pop up throughout), but it is the unique talents of Depp and Farmer who carry this film. There is also some pretty intense violence (including the infamous head-crushing scene), absolutely stunning black and white cinematography and an incredible improvised score from Neil Young. This is a 90’s classic, one of Jarmusch’s best films, and in my opinion, one of Depp’s best roles. Not to be missed. The Skin I Live In opens in Australian cinemas Boxing Day, but you can catch advanced sessions this weekend. Pedro Almodovar’s newest masterpiece, The Skin I Live In, is a loose adaptation of Thierry Jonquet’s novel Tarantula. It’s the first collaboration between one-time regulars Almodovar and Antonio Banderas since Tie Me Up! Tie Me Down! in 1990. The film premiered In Competition at the 64th Cannes Film Festival and has just been nominated for Best Foreign Film at the 2011 Golden Globe Awards. The film takes place in Toledo in 2012. Renowned plastic surgeon Robert Ledgard (Antonio Banderas) has successfully cultivated a skin that is resistant to all burns and bites. He claims he has only tested the process on mice, but due to his confidence that it will successfully work on humans, some of his associates are suspicious of his research. 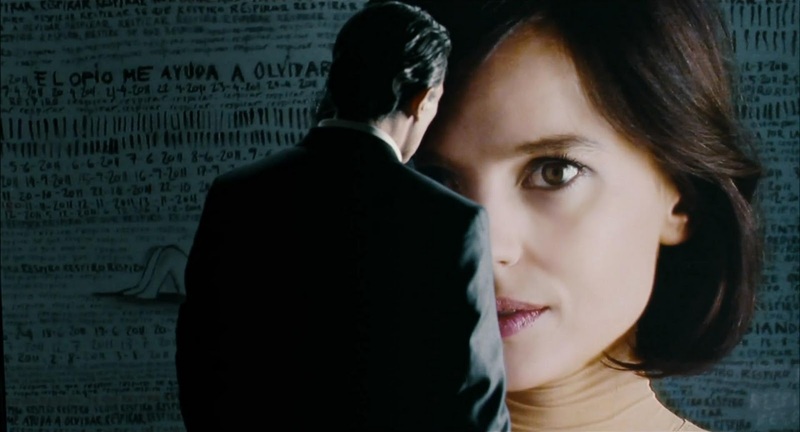 In his remote estate, which also serves as a facility for medical research and secretive operations, it is revealed he is keeping a young woman named Vera (Elena Anaya - the perfect woman) captive. She is the guinea pig for his experiments, protected by a full body stocking and confined to a locked room, full of rubber gym balls and mats and an assortment of amusements. Robert’s mother Marilla (Marisa Paredes) serves as his accomplice, keeping an eye on Vera throughout the day – communicating with her and sending her food. We wonder how long she has been in this room, but judging by the wall-to-wall scrawls, it seems to be a long time. This is all revealed later. As is Robert’s tragic past and the motivations behind his experiments. When a man, Marilla’s other son, Zeca (Roberto Alamo), dressed in a tiger outfit turns up asking to be hidden for a few days, things begin to get weird. Well, ‘weirder’ at least. To delve into the mystery further will be a great disservice, because there are some startling twists and the film becomes something quite unexpected. Like most of his films, Almodovar chooses to weave multiple plot threads together over several different time periods, and the way Almodovar constructs each scene, in addition to his clean and simple mise-en-scene, is as methodical and masterful as Robert’s medical procedures. Here are the Detroit Film Critics award winners. Expected recognition for The Artist but great to see a pair of acting awards go to Shame. The Women on the 6th Floor, a French romantic comedy from director Phillipe Le Guay, is sure to be a crowd-pleaser and will likely have a successful cinematic run based purely through word of mouth. The film isn’t groundbreaking, profound or unpredictable, and evolves in a conventional way; but it’s light-hearted, pleasant and amusing. It made me smile. It was a big hit at the French Film Festival earlier in the year and was an official selection at 2011 Berlinale. Though it ties in some profound themes – the class division in French society (bourgeois vs. the working class) and the impact of the Spanish Civil War on working-class families – it never delves into them (nor does it really desire to), with the issues providing a context more than affecting the chain of events. Comparisons to The Help are few and far between – with the women facing tougher conditions in Franco-ruled Spain than in their professions. Choosing to escape the tyranny, they earn money for their families, and keep the houses of the snobby bourgeois French. Though they are forced to relocate, and face the pomposity of their ungrateful employers, they never lose their sense of life and their spirit. Set in Paris, Jean-Louis (Fabrice Luchini, Potiche) lives a wealthy and privileged bourgeois life absorbed in his work as a stockbroker and investor, living peacefully but lifelessly with his neurotic and dull socialite wife Suzanne (Sandrine Kiberlain), while their children are away at a boarding school. 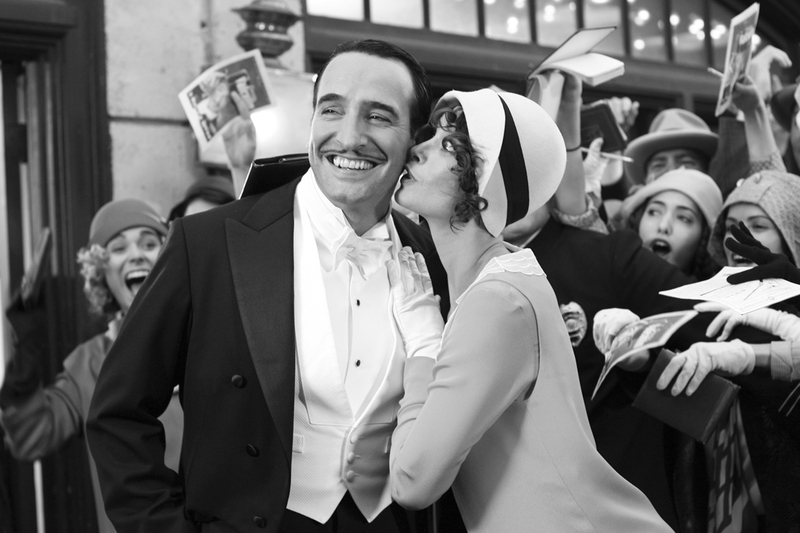 The Artist leads the way with six nominations. This might decide whether or not The Ides of March makes it into the Oscar selections. A nomination for Clooney (director) certainly strengthens that claim. The Descendants, The Help, Hugo and Moneyball could be locked in with their inclusion here, but War Horse is a massive head scratcher. Those who have already seen it will know what I mean. Few surprises here. Though I am openly against Bridesmaids I expected it to feature. The Artist and Midnight in Paris will fight it out. The Artist will win, but Midnight in Paris might sneak into an Oscar nomination (Woody Allen also nominated for Best Director). No The Muppets. It's infinitely better than Bridesmaids. What a shame. 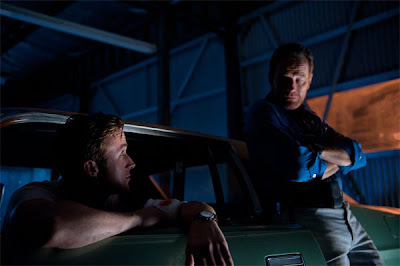 I predicted that if Gosling got a nomination, it would be for The Ides of March. 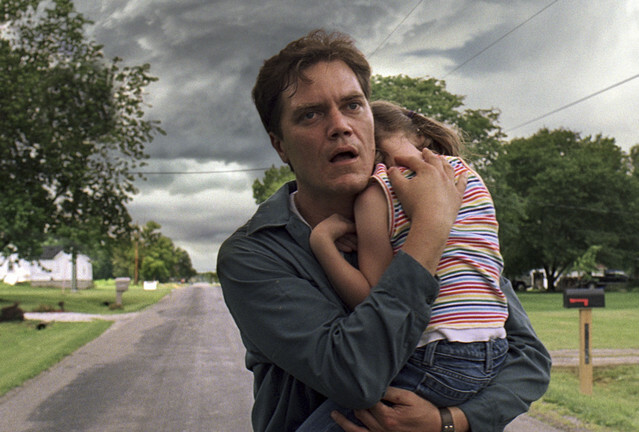 But over Michael Shannon in Take Shelter? No. Still no Oldman, but I am expecting Clooney, Pitt and Fassbender to join Dujardin and either DiCaprio or Shannon on Oscar day. No surprises here. With Charlize Theron and Michelle Williams moving into comedy, Rooney Mara is given a shot. Still, it's between Tilda and Meryl. This is interesting. I'm glad to see Owen Wilson, a little surprised to see Ryan Gosling (though he was good) and pleased to see JGL. This will be between Gleeson (outstanding) and Dujardin. My money is on the latter. The Artist topped with six nominations. I never knew Carnage was a comedy. Or Young Adult. Still, Michelle Williams will win this I assume. This is the first time I have seen Demian Bichir nominated, but I can only assume it is a wonderful performance, considering who was left out. Michael Shannon for Take Shelter, Ryan Gosling for Drive, Michael Fassbender for Shame, Gary Oldman for Tinker Tailor Soldier Spy and Woody Harrelson for Rampart have all been recently considered, and from what I have been hearing about Fassbender and Oldman, I assumed they would claim a spot. Shannon's exclusion is unforgivable. DiCaprio had fallen out of favour I thought, considering the poor reception for J. Edgar. I really liked Pitt in Moneyball, so I champion his inclusion, but I figured that he, Clooney and Dujardin would figure in the other two spots. Still, this is quite disappointing. No real surprises here, except for the exclusion of Charlize Theron for Young Adult. Close, Davis and Streep seemed locked in. Tilda Swinton could very easily win it, but the film has been divisive, and Williams has received nothing but praise for her work in Marilyn. Still, Albert Nobbs' reception has been subpar so it could be Close who misses out eventually. I have come to expect that Branagh and Plummer will be on the ballot come Oscar day, but the other slots should be made up of at least Albert Brooks in Drive and John Hawkes in Martha Marcy May Marlene. Both excluded here. I would also nominate Brad Pitt for The Tree of Life but he will likely be nominated for Moneyball in the lead category. But if he misses out on a nomination there, I hope voters consider him in this category. I am glad to see Nolte here, because Warrior was a fantastic film. Armie Hammer is a surprise, as is Jonah Hill. I loved Moneyball but his performance does not compare to Brooks or Hawkes. A real screw up. Another frustrating category. I'm glad Jessica Chastain got recognised for one of her roles. Bejo and Octavia Spencer's inclusion also didn't surprise me, but if I had to nominate just two of the cast, it would have been Davis and Chastain. I have also heard that Janet McTeer is excellent in Albert Nobbs. Shailene Woodley in The Descendants is fantastic, and I think deserves a slot, especially over McCarthy who turned in a fine supporting performance, but I wouldn't nominate her because it does seem better than it is because the film she stars in is terrible, and the laughs came from few other places. Also, no Carey Mulligan. That's a shame. Bridesmaids again. That doesn't make sense to me. No Ides of March. The other four nominess I can't argue with. Especially the inclusion of The Descendants, which would be my choice to win. So there you are. As you can tell, I am displeased by these selections. What are your thoughts? Opening in cinemas Thursday December 15 are four releases: Mission Impossible: Ghost Protocol, Women on the 6th Floor, Melancholia and Dolphin Tale. Mission Impossible: Ghost Protocol - The IMF is shut down when it's implicated in a global terrorist bombing plot. Ghost Protocol is initiated and Ethan Hunt (Tom Cruise) and his rogue new team must go undercover to clear the organisation's name. No help, no contract, off the grid. Cruise is joined by Jeremy Renner, Paula Patton and Simon Pegg on the mission, and are pitted against Michael Nyqvist (The Millenium Trilogy). The Red Carpet premiere was at the IMAX in Sydney this week and early reviews are claiming that it is the best of the Mission: Impossible films so far (actually, at this moment it is sitting on 100% Fresh). With Brad Bird (The Iron Giant, Ratatouille) at the helm, I would expect nothing less. The Women on the 6th Floor - Paris, 1960. Jean-Louis (Fabrice Luchini) lives a bourgeois existence absorbed in his work, cohabitating peacefully with his neurotic socialite wife Suzanne (Sandrine Kiberlain) while their children are away at boarding school. The couple's world is turned upside-down when they hire a Spanish maid Maria (Natalia Verbeke). Through Maria, Jean-Louis is introduced to an alternative reality just a few floors up on the building's sixth floor, the servants' quarters. He befriends a group of sassy Spanish maids, refugees of the Franco regime, who teach him there's more to life than stocks and bonds. This has been a big hit - an Official Selection at Berlinale - and there will be plenty of opportunities to see the film at Palace Cinemas. Paramount Pictures and Coke Zero present the Mission: Impossible - Ghost Protocol live movie premiere event featuring a live performance by Tiesto from Rio de Janiero, Brazil. Fans across the globe can tune in online to experience the Red Carpet firsthand! The film's star and producer Tom Cruise, co-star Paula Patton, director Brad Bird and other special celebrity guests will be on-hand in Rio for live interviews with hosts Quddus and Carla Lamarca. As part of this special live stream fans will be able to ask cast members questions directly from the Livestream chat. In addition, fans will also have the opportunity to experience highlights from the mult-city global tour the cast and filmmakers have completed, including stops in Japan, Korea, India, Dubai, France, Germany, Spain, Australia, Russia and Italy. Mission: Impossible - Ghost Protocol opens in IMAX and other select locations beginning Wednesday, December 14th and nationwide on December 15th, 2011.